This Officially Licensed NCAA Billiard Rack is a great addition to any Pool Table. This Officially Licensed NCAA Billiard Rack is a great addition to any Pool Table. Features include:..
A perfect rack is crucial to the game of billiards. Ensure your balls are precisely racked in this o.. This Las Vegas Billiard Rack is a great addition to any Billiard Table. Features include: high impac.. This Officially Licensed NCAA Pool Table Ball Rack is a great addition to any Billiard Table. At thi.. This Licensed Billiard table cover not only a great way to protect your pool table but also show you..
Take your favorite team to the pool table. These unique take on the game of 8-Ball is the most fun y.. 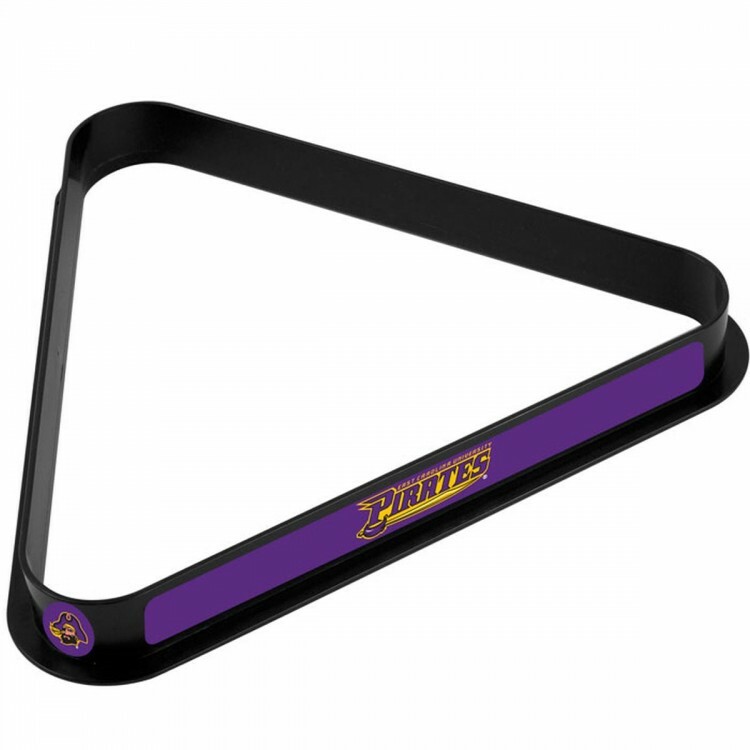 Rack 'Em Up using your favorite teams Billiard Triangle. A cool and unique way to show off your loy.. Complete your billiard set with one purchase! The Deluxe Billiard Package includes everything you ne.. This Jack Daniel'sÂ® Billiard Starter Set will complete the accessories needed to get your game room..
Our Kobo resin ball is produced using a patented Heat Transfer Dye process to create an ï¿½ï¿½embedd..
From Felson Billiard Supplies comes this stylish mahogany pool ball diamond sure to please any billi.. This Officially Licensed NCAA Pub Table is the perfect addition for your Game Room and adds to the a..